Stretch: the energy of channelling and stretching out. In its purest form, this energy is the energy of extending a point into space and dominating that space with its energy. 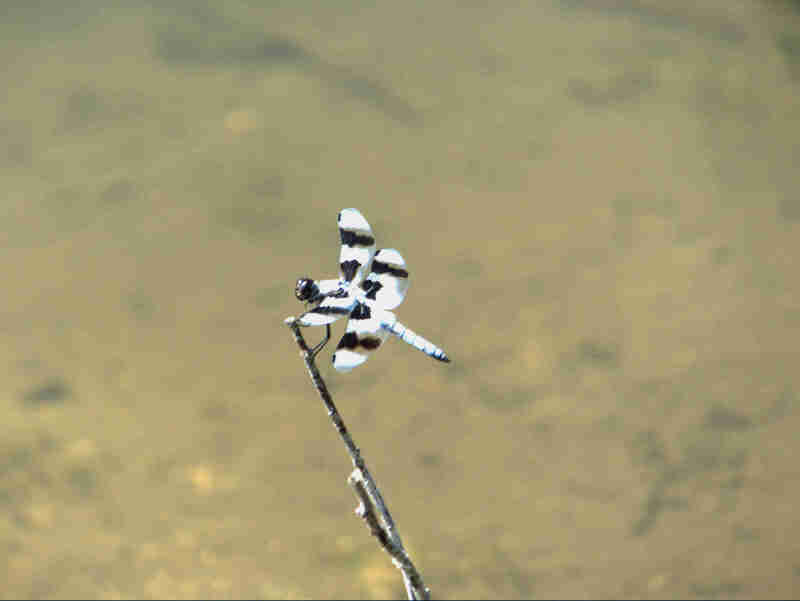 As an example, the “striped” or “stretched” dragonfly below not only extends (stretches) its wings, is extended “stretched” in those wings, stretches itself through flight an by claiming territory by perching on a prominent dead twig, but its stripes themselves are stretches of pigment. Everything about this creature is an extension of “stretch” energy.